The BTO partnership works with L4L student-athletes through Small Group Instruction and project based learning to empower them to set goals while giving them tools necessary to accomplish their goals. Currently there are 43 students in the program being offered at Diego Valley East – El Cajon, Diego Hills Central – San Diego and San Diego Innovation High School – Chula Vista, Lakeside, and Vista recourse centers. The course prepares students for both college and the workforce by providing authentic learning experiences includes curriculum-aligned field trips and guest speaking engagements. In August, the group was visited by San Diego State University baseball coach Mark Martinez and alumni student-athlete Andrew Martinez, and they received campus and athletic facility tours. 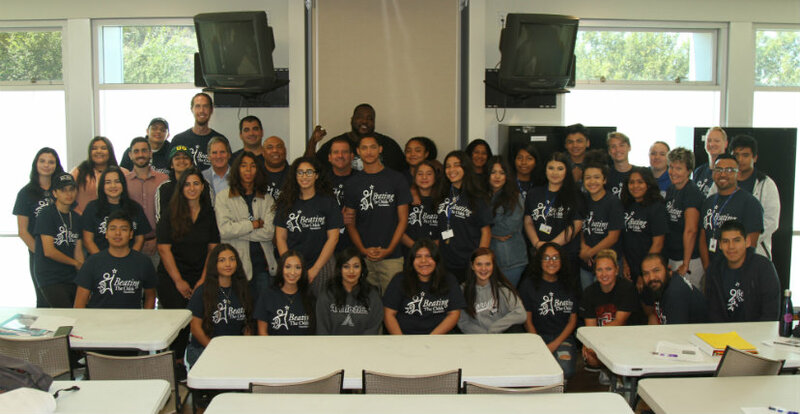 In September, the students met BTO founder Rocco Scalzi and BTO “Quarterback of Life” Quinton Aaron and toured the Olympic Training Center in Chula Vista. In December, the course culminated with a weeklong trip to New York where students presented their class projects at the Baseball Hall of Fame sharing how they use the Stepping Stones to Success in their lives to overcome challenges and “beat the odds”. QBOL Roberto Clemente Jr. spoke to the students. Students also had the incredible opportunity to tour New York City attractions.